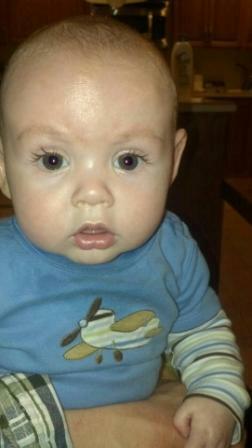 Looking at our handsome little man with these long beautiful eye lashes, you wouldn’t be able to tell he has ichthyosis. Tyler is 4 months old and he looks absolutely amazing. There are only patches of dry spots in his diaper area, armpits, and neck. As a parent you never want to believe that something could be wrong with your baby. It’s complete and utter shock when the doctors tell you that your baby has been diagnosed with this rare skin condition. You start to wonder if it was something you did during your pregnancy and blaming yourself. But realistically, we have no handle on these types of rare conditions. Tyler was born on December 11, 2012 at 7:15am. He was born five weeks early. 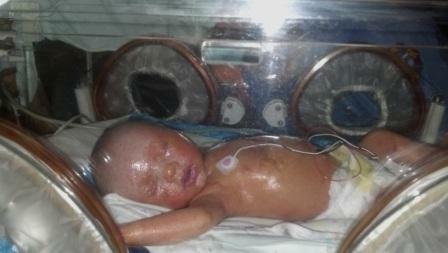 We noticed that his skin looked different and he was immediately taken to the NICU where he stayed for two weeks. They kept him in an isolette for the first week and a half with high humidity and once the doctors got a better understanding of Tyler’s condition, they slowly lowered the humidity. He was finally moved out of the isolette into a room temperature crib, for the last couple days of our stay in the NICU. We were able to bring him home on December 21st, which to everyone else was supposed to be “the end of the world”. Instead, it was the day our family became complete. Tyler has an older sister who is 21 months old and she loves her little brother. Our treatment for him as of now is Vaseline and Aquaphor. We apply the Aquaphor on him at every diaper change. We still don’t know the exact diagnosis of which type of ichthyosis, but are in the process of genetic testing. Our insurance wouldn’t cover it, but our son’s dermatologist at the Children’s Hospital in Milwaukee entered us into a genetic research study which is costing a lot less. Once we find out the results we will be better informed of the type and products to use, aside from the Aquaphor. My husband and I are thankful that this is the only thing that our son is living with. It could be so much worse and we have come to embrace ichthyosis for what it is. 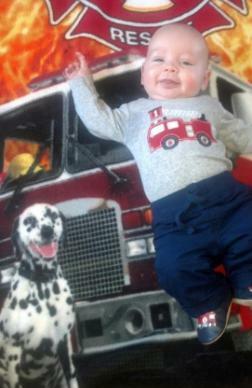 Tyler's story was featured during ichthyosis awareness month 2013. To read all of the stories featured during Ichthyosis Awareness Month 2013, click here. What's Your Story? We'd love to hear it. Neither FIRST, its Board of Directors, Medical & Scientific Advisory Board, Board of Medical Editors, nor Foundation staff and officals endorse any treatments listed here. All issues pertaining to the care of patients with ichthyosis should be discussed with a dermatologist experienced in the treatment of their skin disorder.